Use < and > to change between the front and back of the map. Use + to zoom in. There are 4 guides printed every month, they are the Original Guide, Eating Out Guide, Nightlife Guide, and the Foldout Map. A total of 20,000 copies are printed, that’s 5000 copies of each guide. They are distributed to over 500 prime locations in and around Pattaya, and also distributed with every food order with Door 2 Door, FoodPanda, and Nick The Pizza, the biggest food delivery services in Pattaya. The Pattaya Guide Original Guide is feature packed with 21 different sections, with the other guides it adds up to 47 sections to keep you informed with what’s on in Pattaya. The Pattaya Guide Eating Out Guide features the best places to eat out in town, features expat groceries, restaurant review, under the hood interview plus the international dining guide, pub & bar dining guide, fast food & delivery guide. 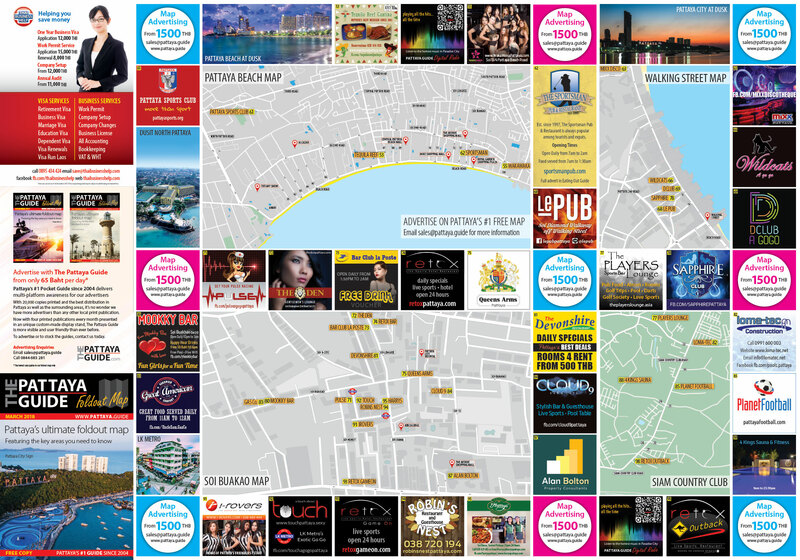 The Pattaya Guide Nightlife Guide features bars and clubs in Walking Street, LK Metro and hidden treasures around Pattaya, plus bar talk banter, pattaya review, pool & billiards guide and live music guide. 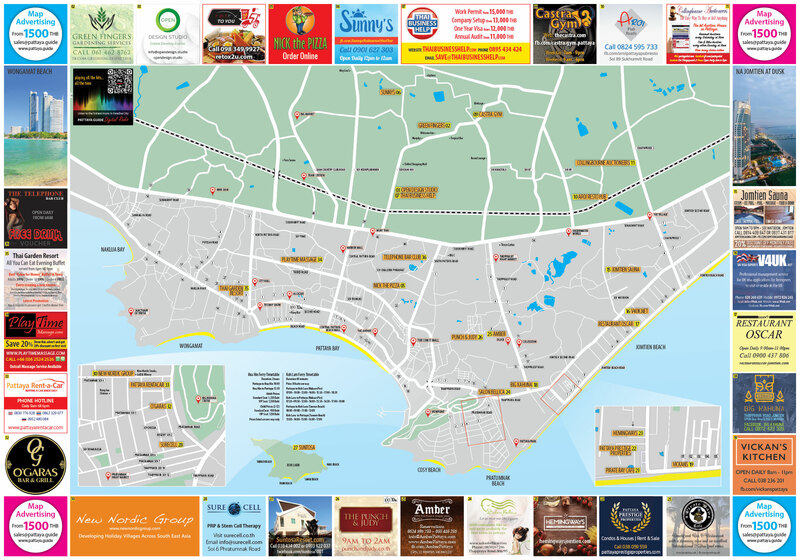 The Pattaya Guide Foldout Map is the largest free monthly printed map in Pattaya, featuring over 100 businesses with the best maps ever to be seen in Pattaya.